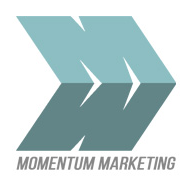 Momentum Marketing provides social media management, website & Facebook page design, custom banners and proven marketing strategies to any individual, organization or corporation seeking to build their business online. Karen Higginson, CEO of Momentum Marketing is a 24-year independent network marketer whose expertise lies in social media management, Search Engine Optimization (SEO), graphic design, website design, and internet advertising. Karen has built and trained several international teams in the Network Marketing industry and currently manages several Social Media accounts for various companies, charitable organizations, network marketers and other individuals. As such, she has increased fan bases through social media management for her customers by over 500%, program and contest participation has tripled, and sales and donations have been reported to have substantially increased. Facebook pages, YouTube channels, lead capture pages, web sites, blogs, banners, logos, Facebook advertising campaigns, Facebook contests and more. Her experience in the field and her personal touch are what keeps clients coming back for more. If you are seeking to build your social media presence through social media management or any of the above services, please contact Karen at Momentum Marketing to book a free private consultation using the form on the right. She will be happy to discuss your requirements and provide you with pricing, payment options and references. *NOTE: 50% of proceeds from banner ads will be donated to the Laura Eileen Higginson Memorial Scholarship Fund. For more information click HERE. After you complete and submit this form, you will be redirected to a questionnaire regarding the services you may require. Please complete the questionnaire so I can better serve you. Thank you. We will discuss your goals, options, budget and pricing for each of these services during your consultation.